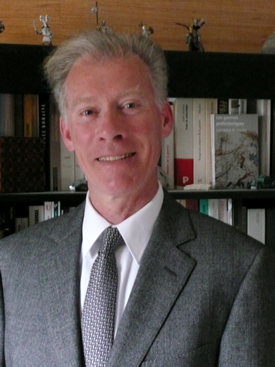 Born in 1954, Patrice Gourdin is a French historian (agrégé de l’université, PhD), who lectures History at Université Louis Lumière-Lyon II.Furthermore, he is a Professor at the French Air Force Academy (appointed in 1985) and has lectured part-time at the Institute of Political Science of Aix-en-Provence since 2003. His teaching covers contemporary history, international relations, defence and geopolitics. He has been a visiting researcher at the Institute of Political Science of Aix-en-Provence since 2010. He is a regular contributor to Diploweb, the first website for geopolitical studies in French. The main purpose of this book is to provide an accessible and helpful tool to work with rigour and efficiency in the field of geopolitics. It provides a step-by-step method for analysing any crisis or armed conflict. 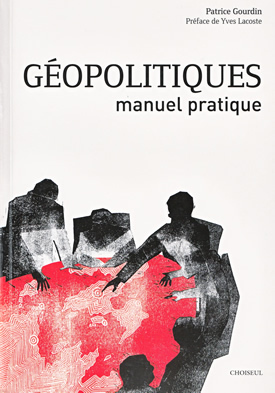 The book gives a definition of geopolitics as “rivalry to control a territory”. This rivalry may be political, economic and/or military. The book is focused on internal and international violent conflicts. It explains in detail what and how the student or researcher does have to focus on and investigate when he or she needs to examine a crisis or a war. To be really useful, any method should be explained and illustrated with many examples. This is how the author proceeds in each part of the book. Furthermore, the final part is devoted to a number of thorough case-studies (South Ossetia, Tibet, Darfur, Chechnya, Afghanistan). First, we study the territory, since it constitutes both the stakes of the crisis and the battlefield. Some of the geographical and/or economic features could become the bone of contention. Other features can help to explain the nature of the confrontation. Second, we examine the population of this territory, because inhabitants are the actors in a crisis or war. They act voluntarily (as supporters or fighters) or involuntarily (as victims or tools). Some demographic, ethnic, religious, social and political factors can produce social splits and exacerbate tensions. These factors can be easily manipulated. Third, we have to analyse the geopolitical representations. These, contained in the arguments of each local player, are well-known because each side does explain why they fight. It is very important to understand how the involved actors use arguments to justify their behaviour. Usually, each side relies on history, politics, archaeology or anthropology. But these are truncated and/or distorted. We must know which arguments are rigged and why. Fourth, we identify the foreign actors (state, non-state and criminal ones) involved in the crisis or conflict and we observe their attitudes. In the event of any crisis or war flaring up without any directly or indirectly implicated foreign actors, the latter still have political, economic and/or strategic interests. No new finding as such, except that this book does break new ground in providing a method of analysis that didn’t exist. Everybody, not only academics, can understand it, use it, indeed apply it. As a historian, mine is a critical reasoning. As a specialist in contemporary history, I often resort to news material, especially newspaper articles as a source. In this manual, I also explain how newspapers can provide a great deal of helpful information. This book provides a rigorous reasoning and a precise check-list. Many books deal with geopolitical subjects, but very few explain how the author goes about it. If you want to study a crisis or a war in any country, you don’t know how to proceed. As a professor, the author of this book needed a method to provide his students with the know-how. Such a method didn’t exist, so he endeavoured to develop one. He noticed it worked and he thought it could be useful. The author made a special point of foregrounding tools and teaching aids: a bibliography, Internet links and many tables (to learn and/or to use). As a historian, I was always interested in foreign affairs, defence and geopolitics. Therefore, I am glad to teach at the French Air Force Academy. In so doing, I contribute to the training of French Air Force officers. They need to rapidly and efficiently study an armed conflict or a crisis because it’s part of their job. This is where I can help, or at least I hope so. More widely, I also teach at “Sciences-Po Aix”, one of the nine Institutes of Political Science in France. It provides a multidisciplinary curriculum, resolutely catering for students aiming at a career in the corporate world, high-ranking civil service or research. For these students, an analytical method in geopolitics is a useful tool to understand our complex world and to make decisions. Methodology is a permanent work in progress. This book does not claim to be perfect and could be improved. To this end, teams of academics, from different specialities in human sciences, could be more efficient than an individual researcher. And, of course, other methods could be devised and experimented.